New Flavor from Twisties Flavored Corn Snacks. 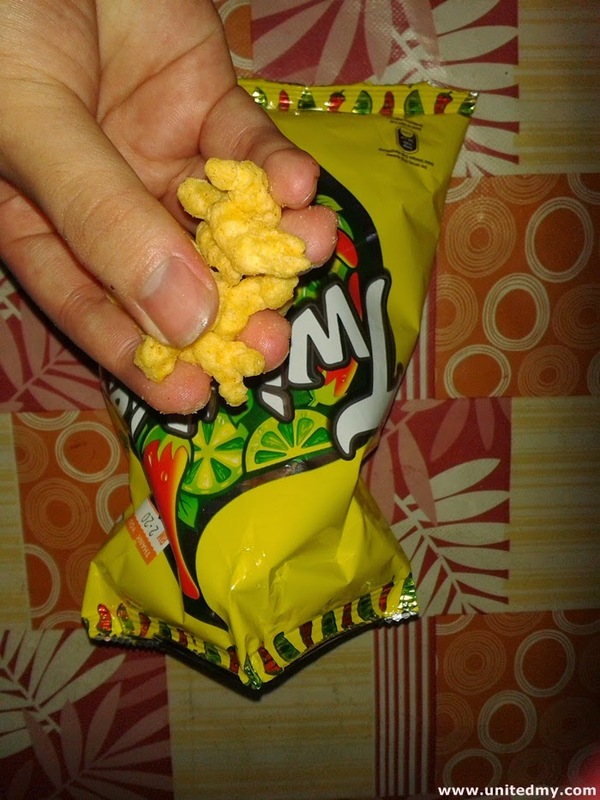 Twisties is the best corn snack in Malaysia. No other corn snack brands out there come closer compared to Twisties. Twisties Malaysia made the funniest and meaningful video advertisement. In conjunction releasing Twisties new flavors, they made a successful marketing video to promote it. The newest flavors are Lime Chili and Chili Cheese. After one have watched the video ads, It was very hard to resist the temptation not to pick new flavors of Twisties into shopping cart. If you spot Twisties in nearest local stores, your mind unconsciously showing familiar images. Both of these Twisties were bought at Petronas convenience store. No doubt that the original flavor of Twisties was the best ever. No need for new flavor. A new flavor would means sales generating for Twisties company for some reasons. However, one cant really access Malaysia twisties website, whereas it Facebook page which garnered more than one hundred thousand of Follower accessible. 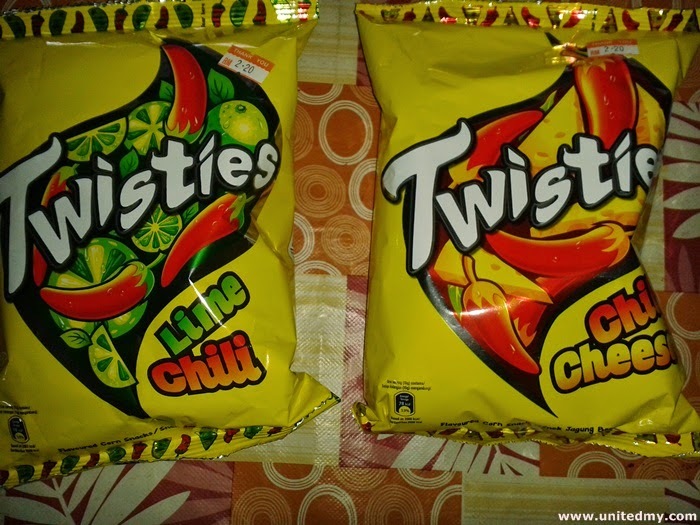 Had not tried Chili Cheese flavor, had tried lime chili flavor I am still convinced that the Twisties original taste good. The lime chili flavor does taste like there was some lime element covered the corn. One small bite is never enough. To show you guys the way a matured snack guy eating Twisties at home. Be like, open the hand palm grabbing as much as you can then open the mouth as big as possible and stuff everything inside the mouth. If there would be an event of falling Twisties at the floor, pick it up and eat it ! If the event occurs that means you are not categorized as matured snack eater. It worth your time watching the new Twisties Malaysia video advertisement because everyone is curious how a animated big T-Rex facial expression after consuming Twisties Lime Chili or Chili Cheese. Hey, I think Twisties get the wrong history lesson that when T-Rex was around lingering the earth there is no possibilities that human too live among them. I cant believe our ancestors has been eating junk food from the early civilization.